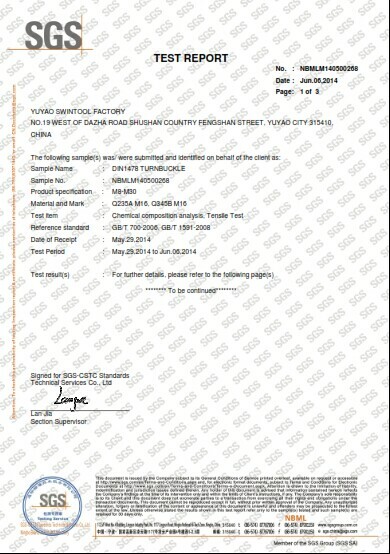 ie: Q235A material our competitor S.W.L for M16 DIN 1478 turnbuckle is 1770kg, our SGS certificated is 2842kg from swintool turnbuckle DIN 1478 TB-M16. Showing we are safty. We are a professional manufacturer of Turnbuckle DIN 1478, DIN 1479 and OEM. A specialist for your turnbuckle supplier in China.